The issue of cyber security incidents seems to continue to be a hot topic for regulators. Late last year, federal Breach of Security Safeguards Regulations came into force, which require organizations to report to the Office of the Privacy Commissioner (OPC), any breach of security safeguards involving personal information under its control where the breach creates a “real risk of significant harm”. 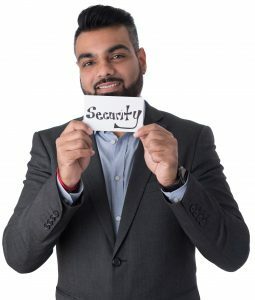 Last week, The Office of the Superintendent of Financial Institutions (OSFI) published an advisory, Technology and Cyber Security Incident Reporting, which sets out OSFI’s expectations for Federally Regulated Financial Institutions (FRFIs) with respect to the reporting of technology and cyber security incidents. The advisory becomes effective on March 31, 2019. Unlike the Breach of Security Safeguards Regulation, which apply to all companies operating in Canada, OSFI’s advisory applies only to FRFIs. These include banks and insurance companies. How Do the Reporting Obligations Differ? Incidents that need to be reported to the OPC focuses on “a breach of security safeguards” involving personal information, where it is reasonable to believe that the breach creates a “real risk of significant harm” by assessing factors such as the sensitivity of the personal information involved, and the probability of misuse. Incidents should be reported as soon as feasible. Incidents that need to be reported to OSFI focuses on operational impact to the integrity or availability of information systems. Items to be looked at include things such as service disruptions, as well as impacts to critical deadlines related to financial market settlement, payment systems, soundness of business etc. These incidents may or may not include personal information. The OSFI advisory does state one of the considerations for reporting is if the incident has been reported to the OPC. Incidents should be reported as soon as possible, but no later than 72 hours after determining an incident has occurred. It is possible (even probable) that a FRFI would need to report an incident to both the OPC and OSFI. While organizations that are not FRFI’s are not required to report to OSFI, the advisory may still contain useful guidance in thinking about security, breaches, and best-practices for breach response. Who does it apply to? All Organizations. All Federally Regulated Financial Institutions. When is a breach reported? As soon as feasible after the organization determines the breach has occurred. As soon as possible, but no later than 72 hours after determining an incident has occurred. What type of breach is reported? A breach of security safeguards involving personal information where the breach creates a “real risk of significant harm”. Incidents that have a material operational impact to the integrity or availability of information systems. If you have questions about this new advisory related to your reporting obligations for technology and cyber security incidents, or compliance in general, please contact us.